Information design for a global audience. 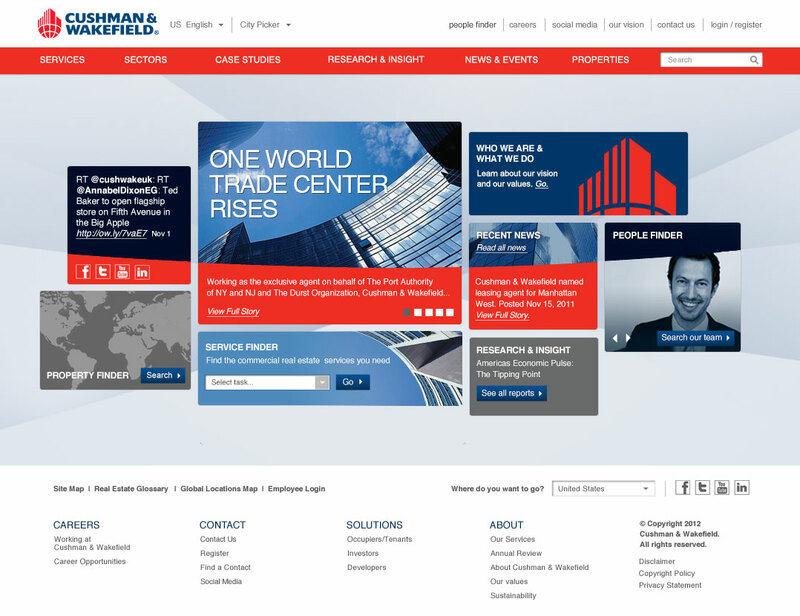 While working at Viridian Spark back in 2012, I had the challenge of working on developing a truly global web experience for property management juggernaut Cushman & Wakefield. 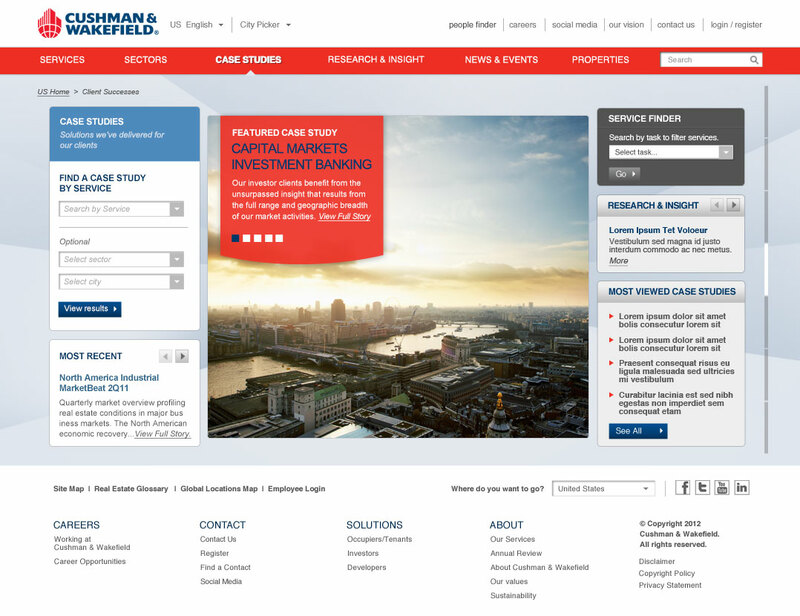 They needed one Sitecore backend that would connect publishing from 59 offices scattered around the globe. Building a multi-lingual site with a streamlined publishing framework was a difficult, but fairly straightforward problem to solve. The real challenge was designing language selection tools that allowed each of the 59 offices to customize according to local dialect and make that process seamless to the end users. After several rounds of prototyping and user testing with our global audience, I was able to design a location-based switch that hacked dialect into the existing Sitecore multi-lingual architecture. Now users on the front end get a user experience that defaults to our best guess for language and dialect based on their IP location and browser settings. 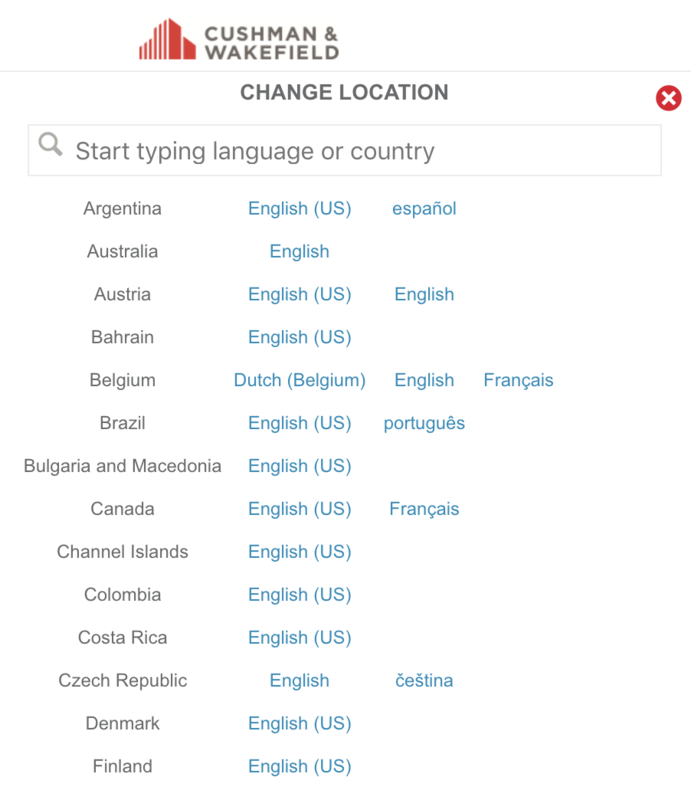 If that’s incorrect, they can easily choose a country, language, and dialect with an interface that supports both browsing and searching in their preferred language. © 2018 Costa Boudouvas. All rights reserved.